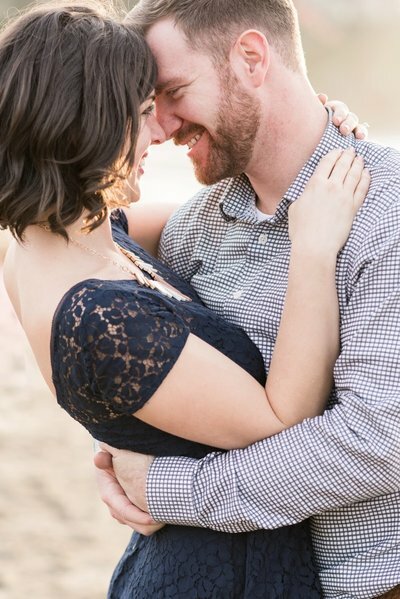 Hiring Rachel to shoot our engagement session was such a wonderful decision. 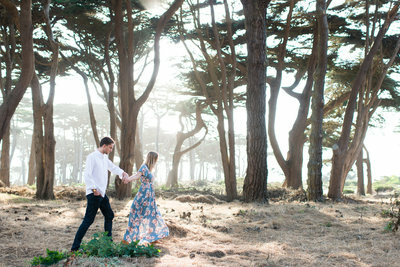 Planning an outdoor photo shoot during a summer in San Francisco isn’t easy. As our ally in our war against Karl the Fog, Rachel was incredibly flexible & re-scheduled our shoot multiple times to ensure that we had the best weather possible on our special day. When that day finally arrived, things couldn’t have gone smoother. Rachel was very timely & her outgoing personality made a potentially awkward activity super fun! Rachel edited & provided hundreds of gorgeous photos to us in less than a week. For only having met us a few hours before, Rachel did such an incredible job of capturing our essence in her photos. If you need great engagement photos in the Bay Area, you can stop looking now. Rachel Blackwell is a true professional that we could not recommend more! But back to Rachel Blackwell...How does she do it all!?! She stays very communicative the whole time, and edits photos in record speed! She's everything you could want in a professional photographer! We spent a Sunday afternoon (3:15-5pm) at two locations in SF that Rachel recommended based on the lighting/time of day. Rachel was fantastic at guiding us with little tricks (ok, poses) to make the photos look natural, and making the session FUN! It really shows that Rachel is doing what she loves. 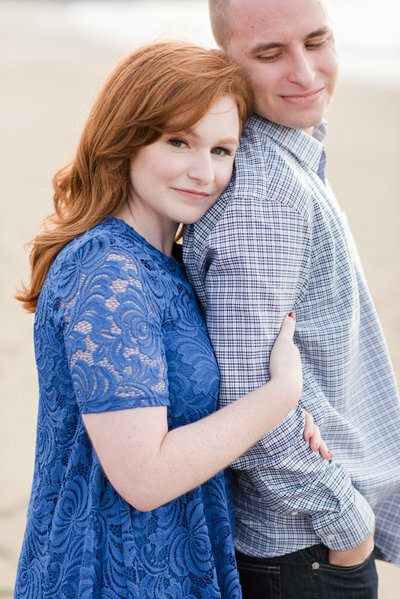 If you're considering an Anniversary Session in the Bay Area, you have to go with Rachel! My fiancé and I decided to get our engagement photos done in San Francisco and we are so thrilled with Rachel’s work! Neither of us have had professional photos taken before and we are both camera-shy, so we were a bit nervous. Rachel made us feel so at home throughout the entire process. Before we met she gave us pointers on what kind of clothes we should wear, which locations we could choose from, and she kept us updated on the weather conditions for the day. We had our photoshoot shortly after the wildfire in Napa and we were only in San Francisco for a few days, so we were concerned the smoke would be visible in the photos and we wouldn’t be able to reschedule. However, in the photos, it looks like a bright, sunny day. The fog started rolling in towards the end of our shoot, but you can’t tell one bit in the photos, except when we wanted it to. Rachel captured the slightest bit of fog rolling towards the Golden Gate bridge and us on the beach in front of it. We had photos done at Land’s End and at Baker Beach (with a wardrobe change in between) and I am so happy Rachel suggested those locations as they offered a ton of variation. We have shots of us surrounded by cypress trees, some atop the cliffs overlooking the ocean, classic beach shots, and beautiful views of the Golden Gate bridge. Not only did we feel comfortable during the photoshoot, we had a great time, and it shows in the final product. We received a preview photo later that evening and we got all of our photos not long after. Rachel was such a pleasure to work with from beginning to end and we will be sure to book her for more next time we make it out to San Francisco! We are so elated with our engagement pictures and will dearly treasure them. Thanks, Rachel!